Buying second hand beekeeping equipment can be a veritable minefield, especially for a beginner so if you are offered any second-hand kit, it is worth asking an experienced beekeeper to come with you to advise. Hives and ancillaries can last for years and beekeepers are renowned for being ‘careful’ with their money so there is more than a good chance that when Kit is put up for sale it is well past its best. 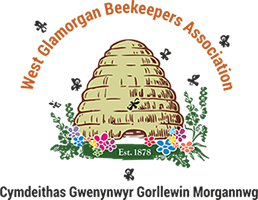 Strangely, the beekeeper's year start around September – this is when the honey crop comes off and we start to prepare the colony to survive the winter and be big and strong in readiness for the spring and summer honey crop. As soon as the honey crop comes off then it is time to start autumn varroa treatment.